When Google bought Titan Aerospace two years ago, the industry was curious over what Google’s plan for the drone startup was. Titan Aerospace was a company that developed solar-powered unmanned aerial vehicles that could function like near-earth satellites. Facebook was originally planning to acquire the startup and use it to provide internet service around the world. Now, it seems that Google has the same plans for the company. It would later emerge that Google has folded Titan Aerospace, now named Google Titan, into its access company (the company under Google’s reorganization that handles internet access). The Guardian then published a report revealing that Google was experimenting with drones providing internet access. More recently, The Guardian published a story on Google which reveals that it has been testing the drones to deliver high-speed internet in New Mexico. The project, codenamed SkyBender, could potentially deliver the next generation 5G wireless internet service using millimeter-wave radio transmissions to deliver gigabits of data every second, more than 40 times that of 4G LTE systems. The company was building transceivers to receive this signal at a spaceport it rented from Virgin Galactic. The tech giant is temporarily using the Gateway to Space terminal to house its drones and has installed a dedicated flight control center. Ultimately, Google is paying Virgin Galactic $1,000 a day for the use of a hangar in the Gateway to Space building and the associated facilities. IS PROJECT SKYBENDER THE FUTURE OF the INTERNET? The Defense Advanced Research Projects Agency has previously demonstrated the feasibility of using millimeter wave transmissions to provide internet access from drones. Millimeter-wave transmissions however have a shorter range compared to that of mobile signals. A comparison of the range between transmissions using millimeter-wave and 4G would reveal that, within a tenth of the distance covered by 4G, the signal from the drone would have faded out. To circumvent this problem, Google experimented with focusing transmissions using a phased array. A phased array allows the company to focus the transmissions to travel much farther, but it requires a lot of technical expertise and is very complex to develop. Outside studies using such an instrument were able to sustain a signal of 2 Gbps across 200 meters, a very impressive feat that reflects the challenges of using millimeter waves. 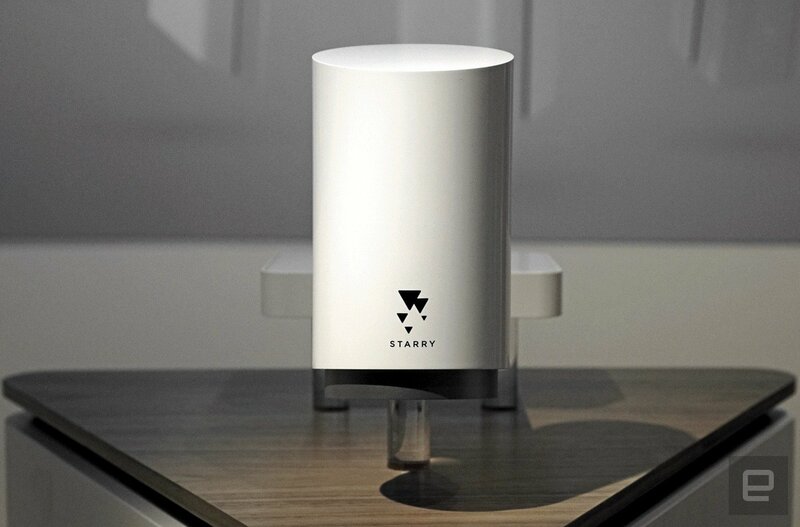 A recent startup, Starry, is promising to deliver gigabit internet using phased arrays; however, industry experts are skeptical over the technical challenges that it needs to overcome. Google faces similar hurdles for Project SkyBender with the added complication of drones. Millimeter-waves can be scattered by things like fog, snow, and other bad weather, hampering their performance as a means for reliably transmitting data. If successful, Google could undercut broadband providers like AT&T and Verizon similar to what it has accomplished with Google Fiber. Its drone could also help provide broadband to rural areas and out of service areas at a cheaper price, as Google does not need to install any fiber connections. A recent study by the US Federal Commission for Communication has revealed problems with deploying broadband across the United States. But if there’s anything the Silicon Valley company has showed us, it is not afraid to toy with ideas and go out and accomplish it. After all, this is the same company that is experimenting whether they could provide internet access from balloons.